Best hot tub view in Scotland? 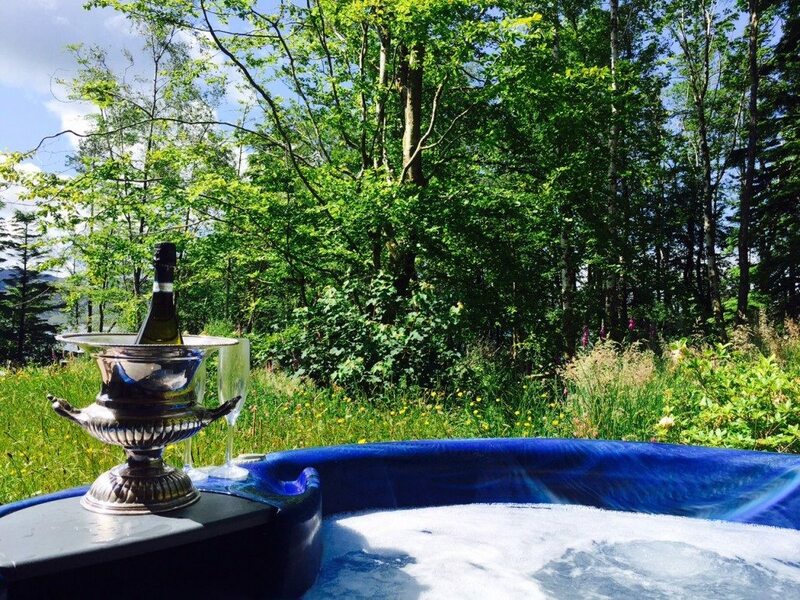 Whether you’ve been walking the munros, trekking through the woodland or just relaxing with a book in peace and tranquility on the deck of Knoydart Hide, we can’t think of any better way to round off the day than with a glass of something cold and bubbly in the hot tub. In fact, we can’t think of any better way of starting the day either; after all, you are on your holidays! Our gorgeously round moodlit Beachcomber hot tub is sunken into the wraparound decking where, from this elevated position, you can enjoy unparalleled views, total privacy and Loch Nevis and forest views for 2 through the ancient woodland that surrounds Knoydart Hide. 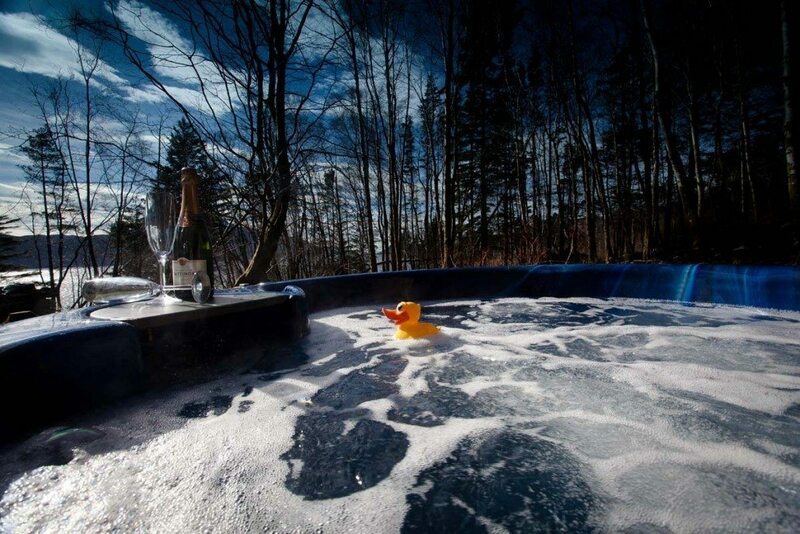 Kept at a constant 40 degrees heat and floodlit with additional underwater lighting, you can relax back and unwind in the hot tub at any time of the day or night, safe in the knowledge that only the birds and the deer will ever be able to see you. The health and relaxation benefits of a long soak in hot water whilst being caressed by bubbles are immeasurable and, if you add into the mix our forest view sauna, monsoon shower and freestanding bath together with knock out views and a supremely decadent bed you can’t help but feel rejuvenated and thoroughly spoiled. 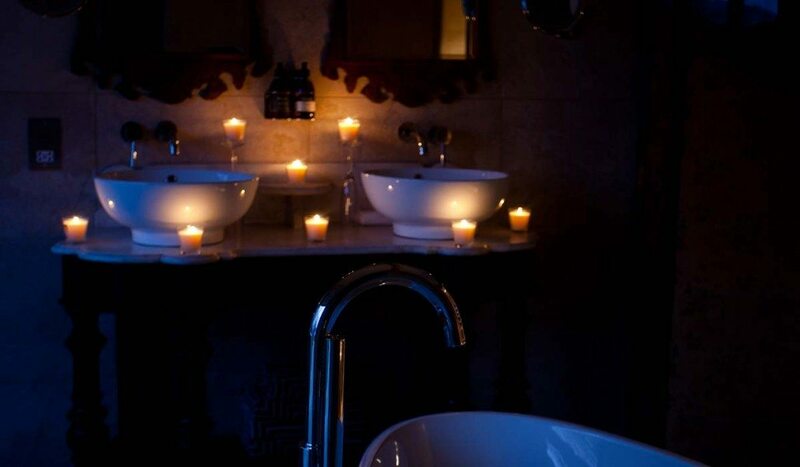 Why not book a luxury massage in your own private spa-ensuite with our optional in-house masseuse by prior appointment. 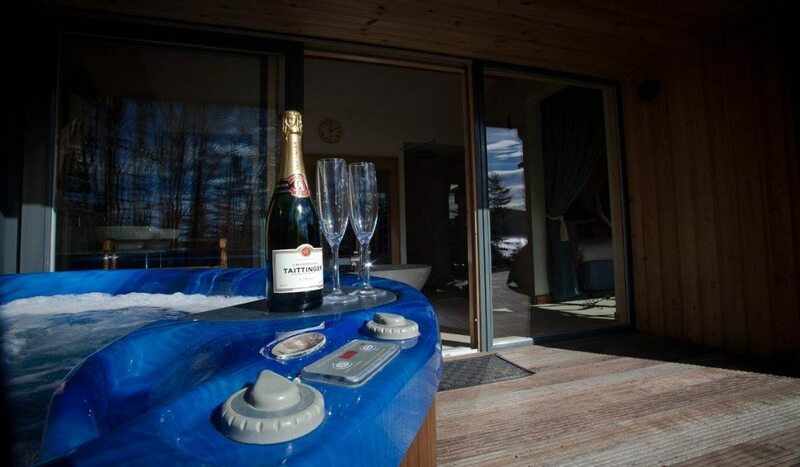 To finish off your experience, we provide you with special hot tub glasses for your bubbly and crisp cotton bath robes, to help make your hot tub holiday just that little bit more glam. Why not spoil each other and make special time together.